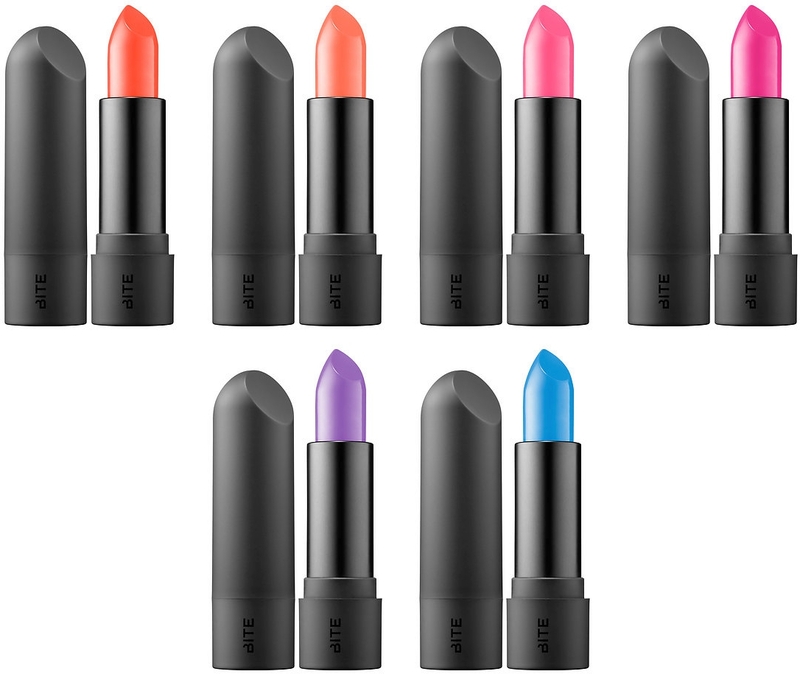 Bite Beauty Nearly Neon Lipsticks (0.15 oz.) individually retail for $26 USD ($30 CAD) and are available in six, limited edition electric shades in the brand's signature Amuse Bouche Lipstick formula. 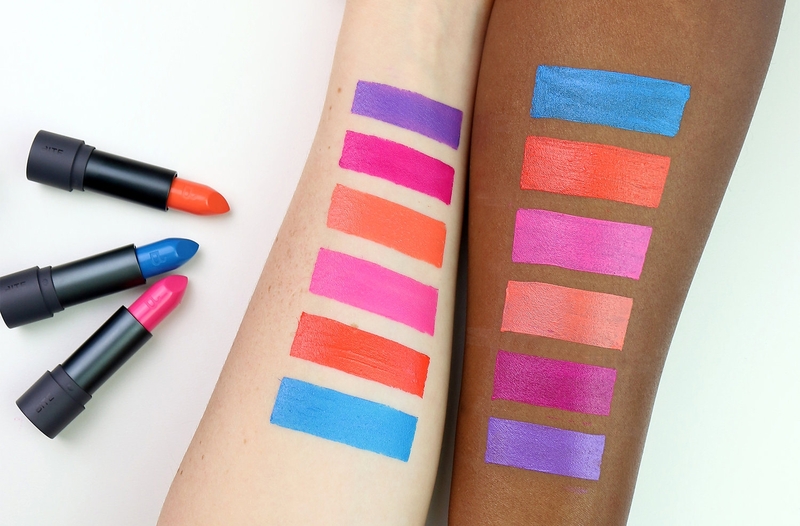 "Bite Beauty’s limited-edition Amuse Bouche Nearly Neon shades are infused with 12 oils. Inspired by its creations at the Bite lip lab, these electrifying hues stand out. Swipe on bold, creamy lip color with Bite Beauty’s Amuse Bouche. Created and crafted by hand, Bite’s small batch, low-heat process preserves a balanced blend of lip-quenching nutrients, vitamins, and omega oils that are essential for achieving healthy-looking lips. Made with 12 edible oils and triple milled pigments, this lipstick provides saturated lip color with weightless coverage and a citrus flavor made from fresh pressed fruit." Free Benefit Brow Gel Mini, use code BROWPOWER while supplies last! Free Drunk Elephant Mini, use code DAMAGEBYE while supplies last! 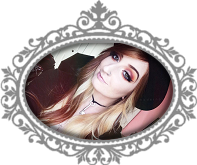 Free Make Up For Ever Eyeliner Mini, use code MAD4MATTE while supplies last!